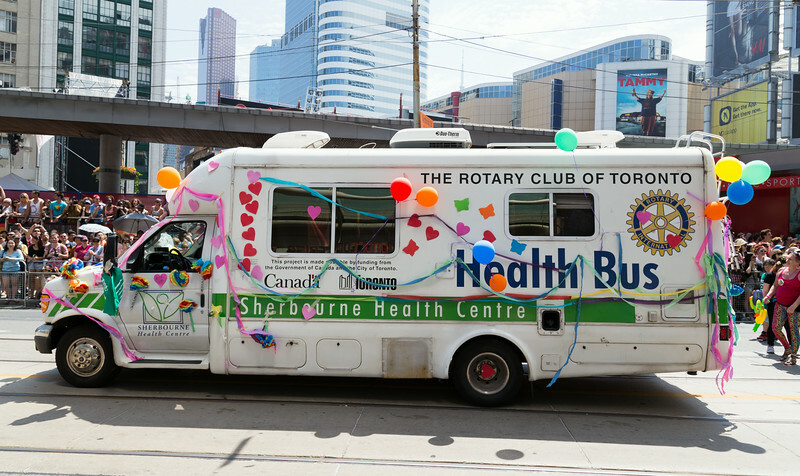 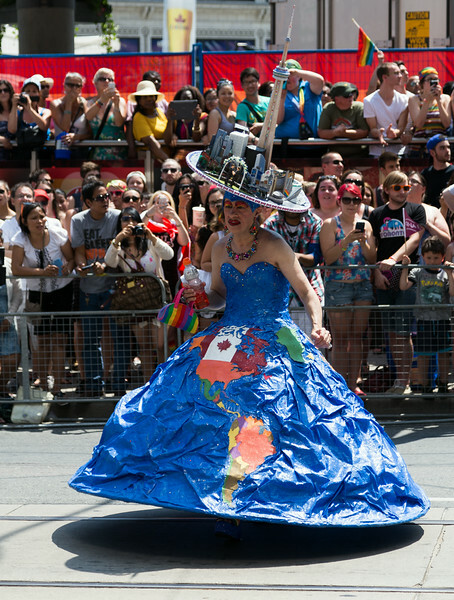 The summer in Toronto is a busy time, with many street festivals and other events most weekends. 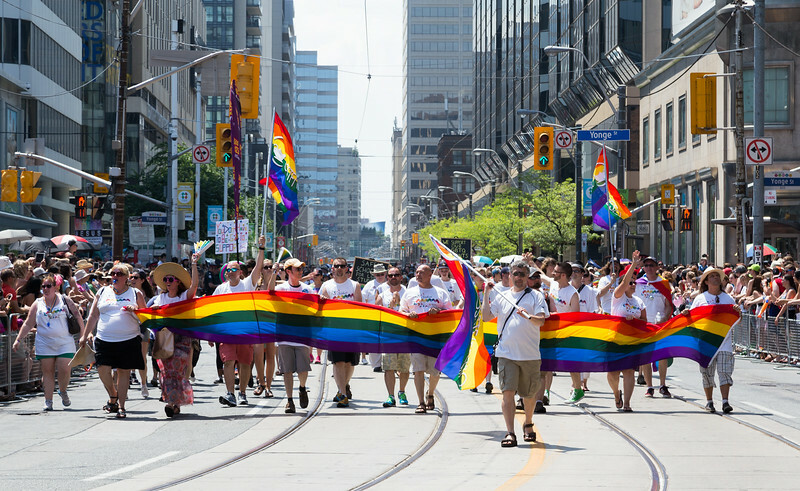 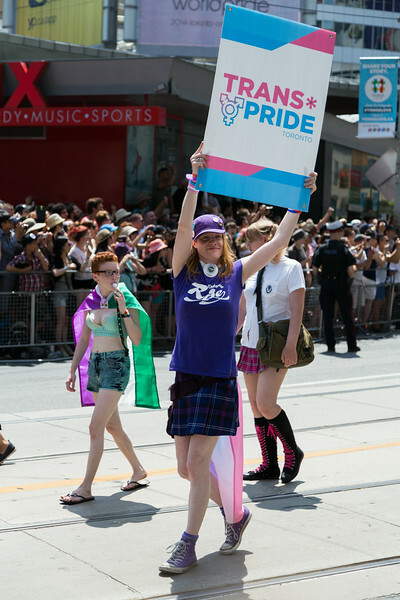 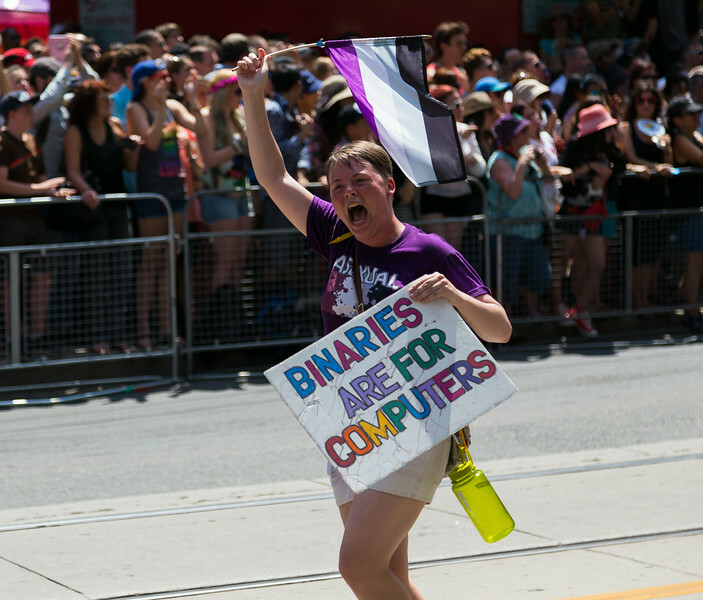 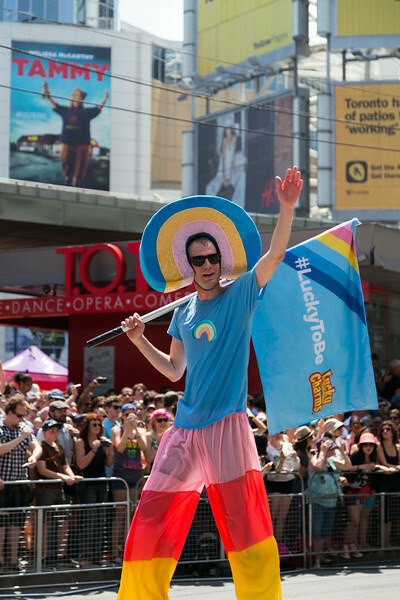 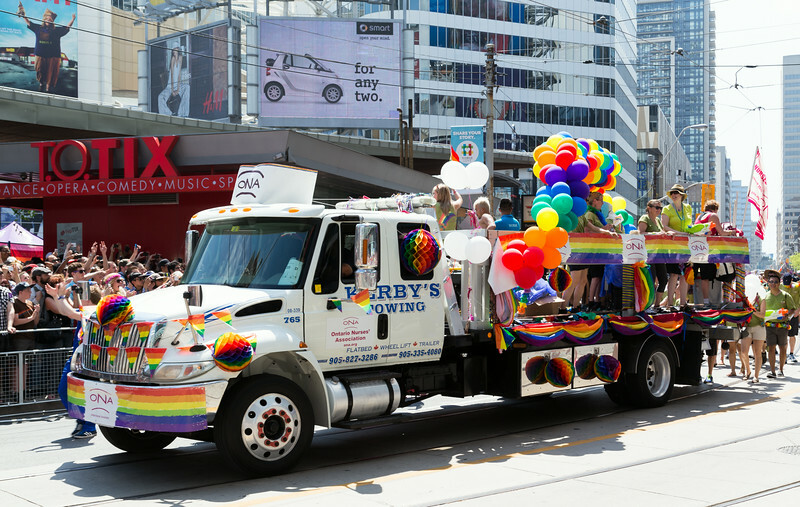 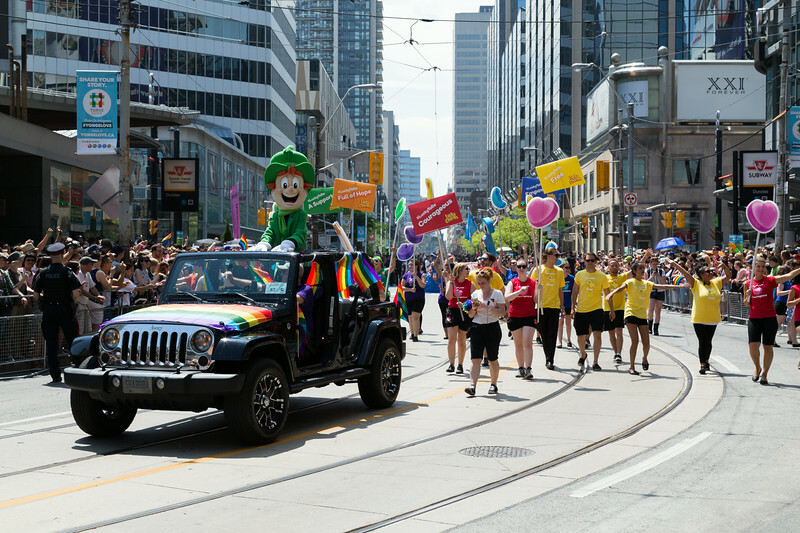 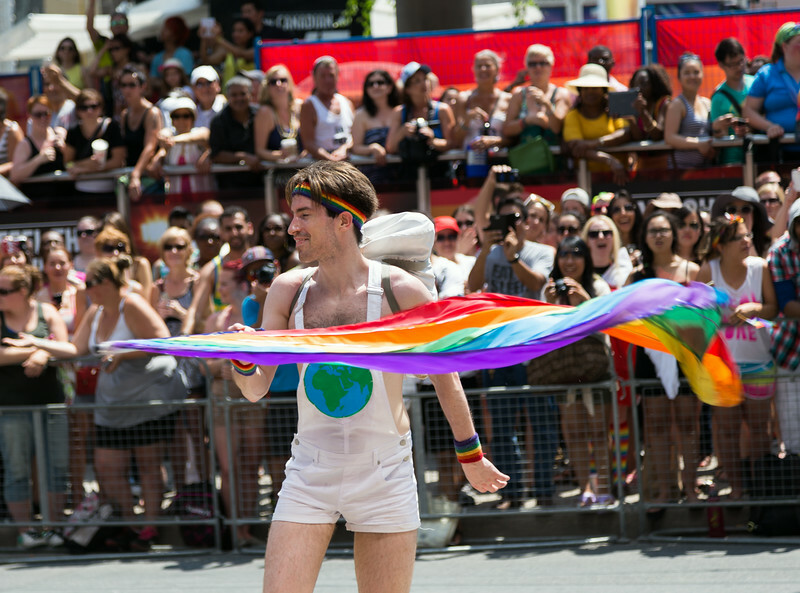 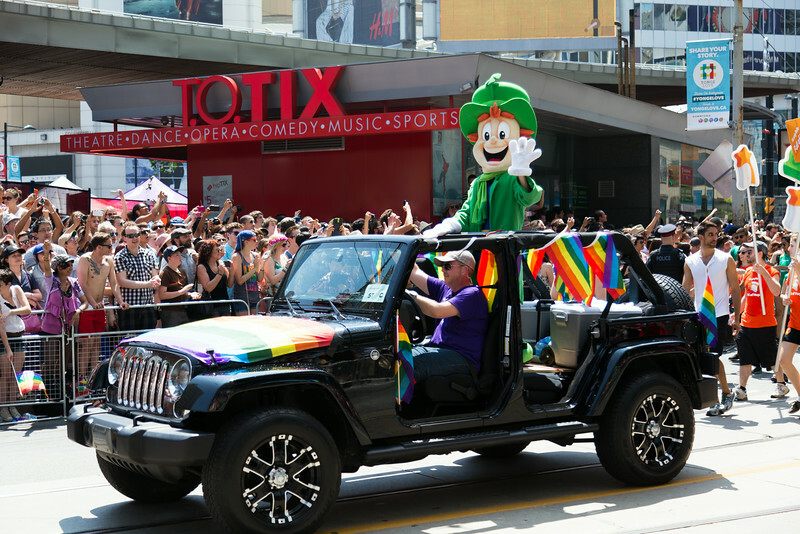 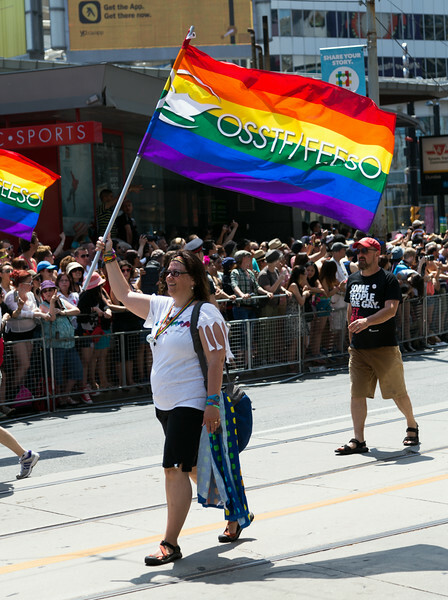 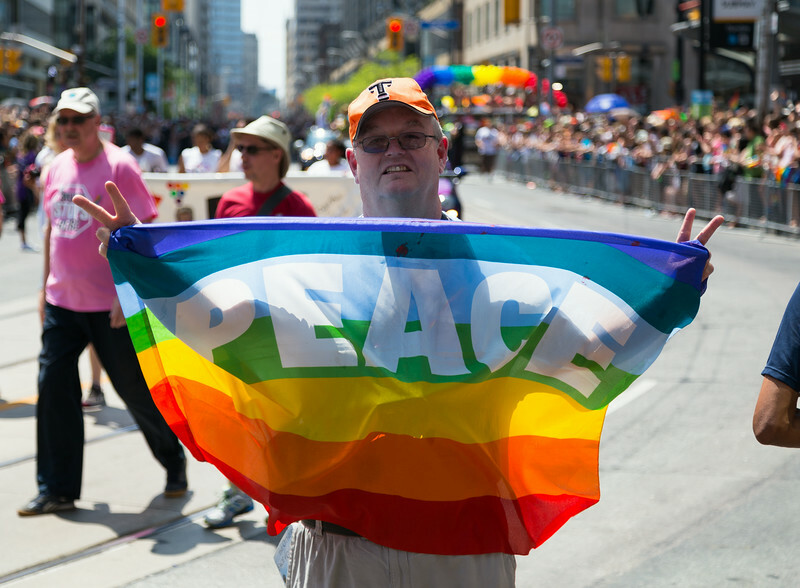 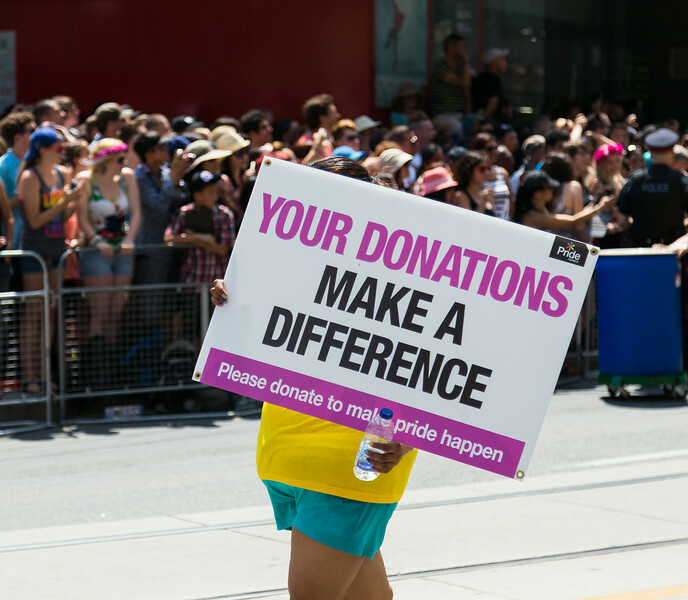 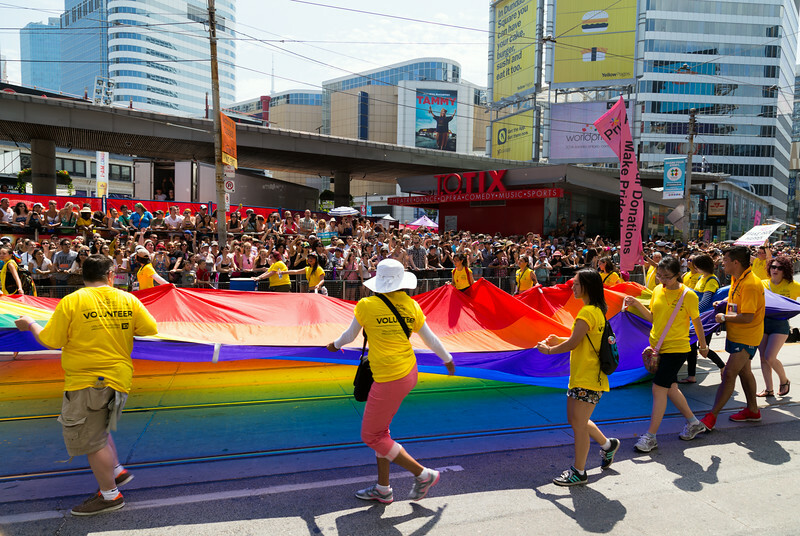 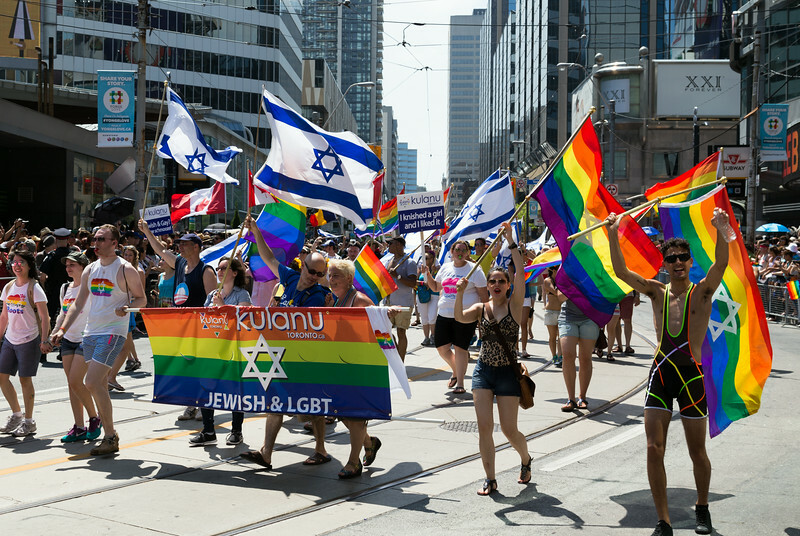 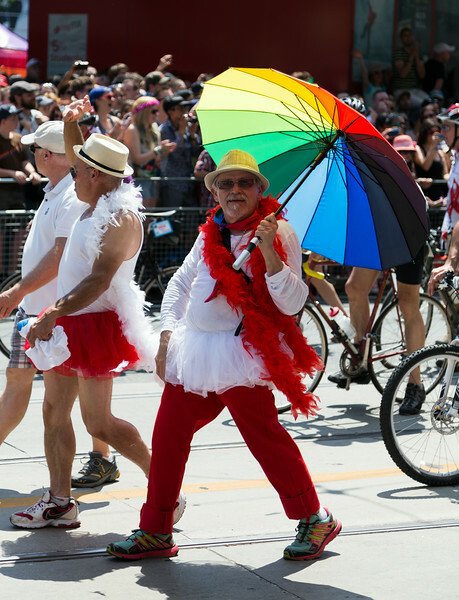 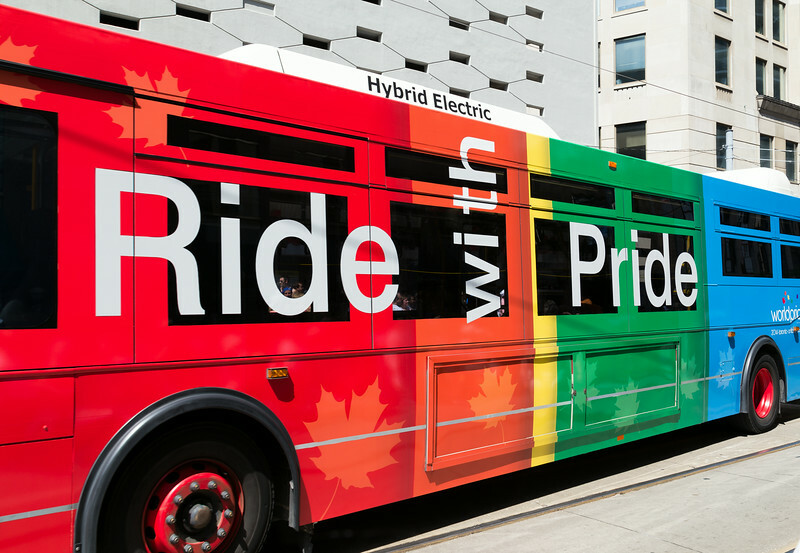 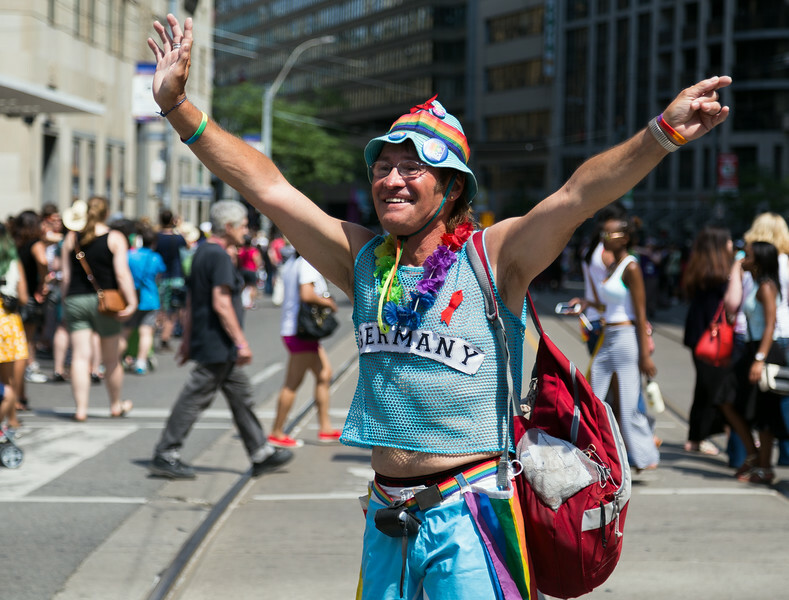 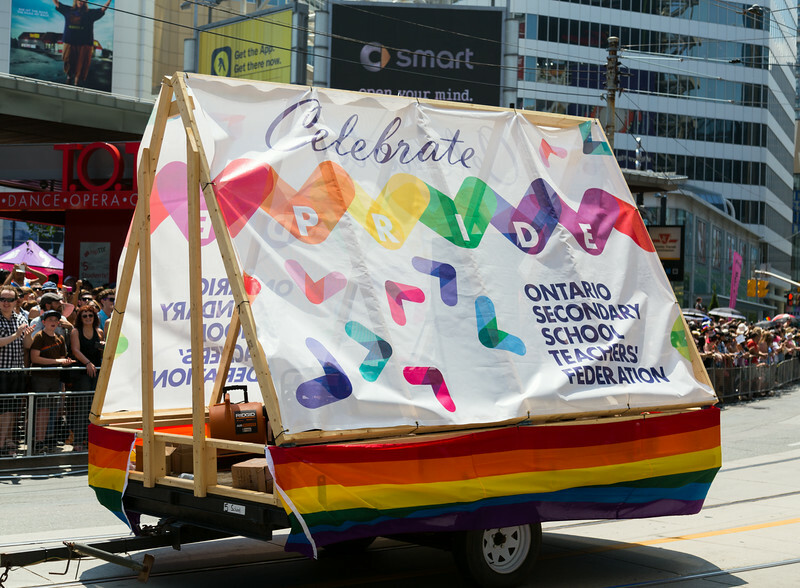 One of the biggest events in 2014 was the World Pride Parade, where people walk down part of Yonge Street demonstrating who they are as a person. 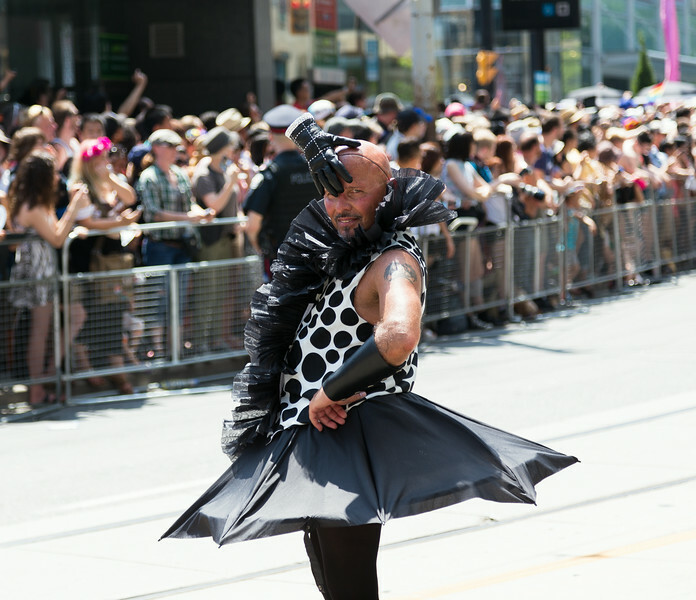 The festival is fantastic and the atmosphere is happy and gratifying. 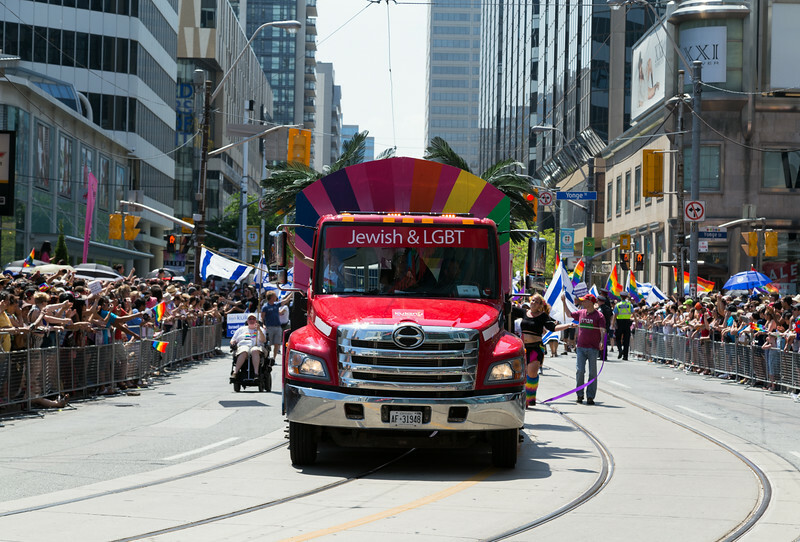 I came away from this festival feeling proud of Toronto and the fact they are so willing to accept people whoever they are. 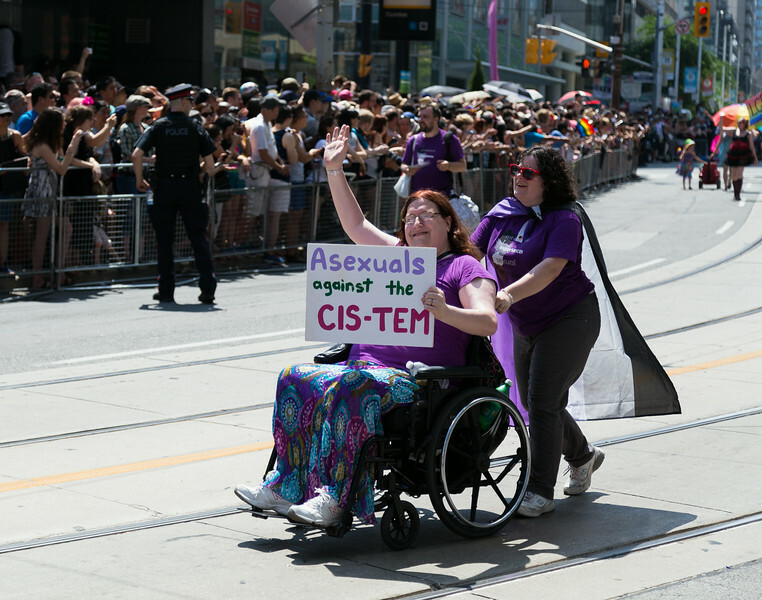 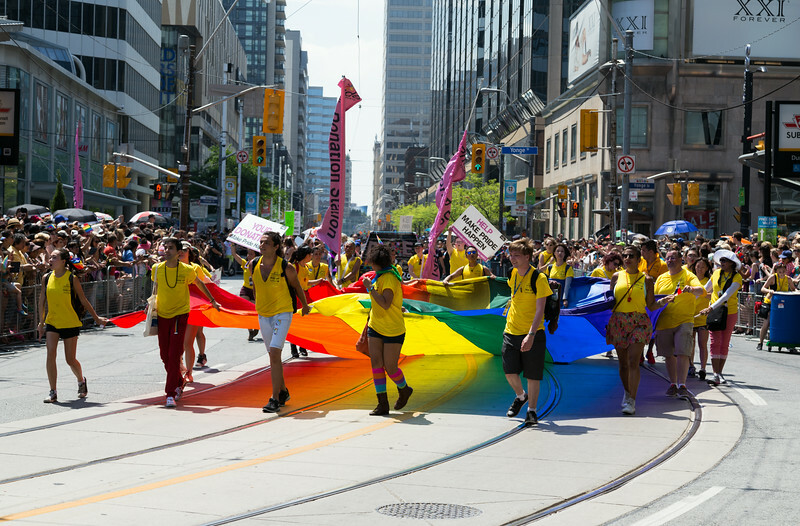 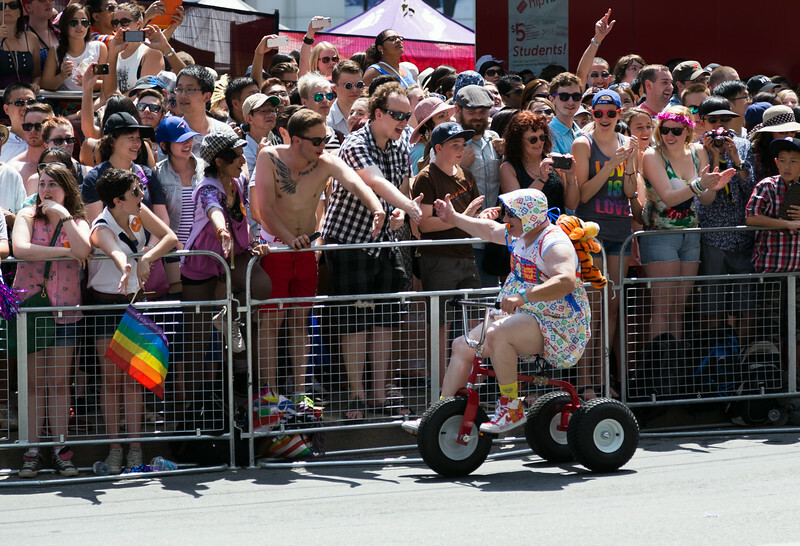 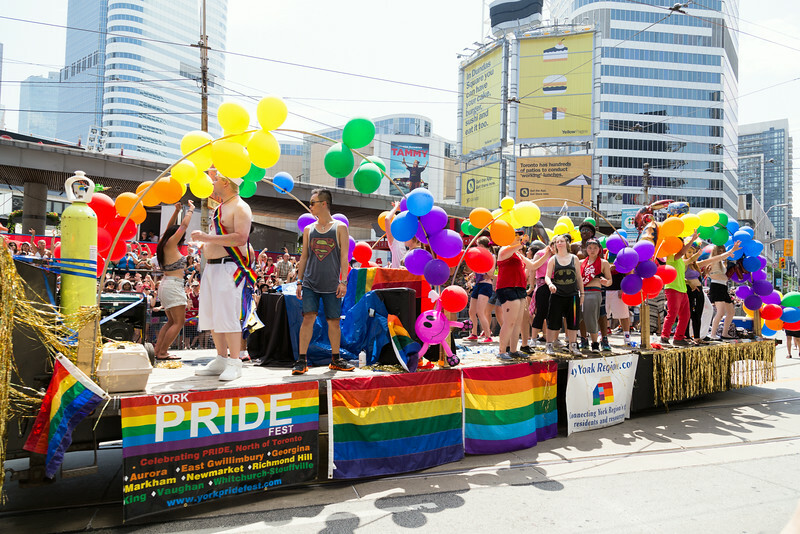 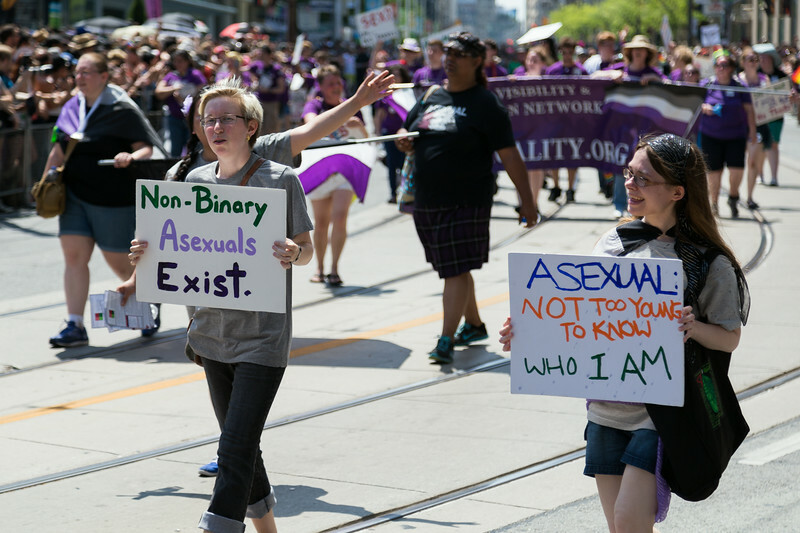 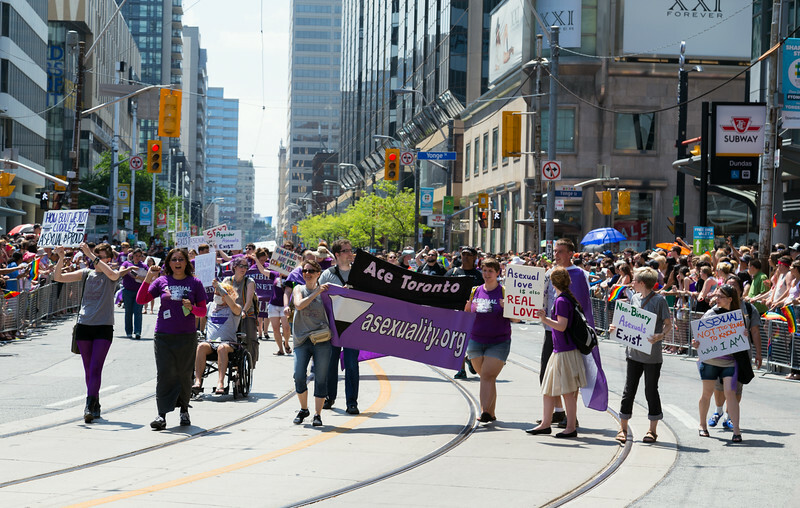 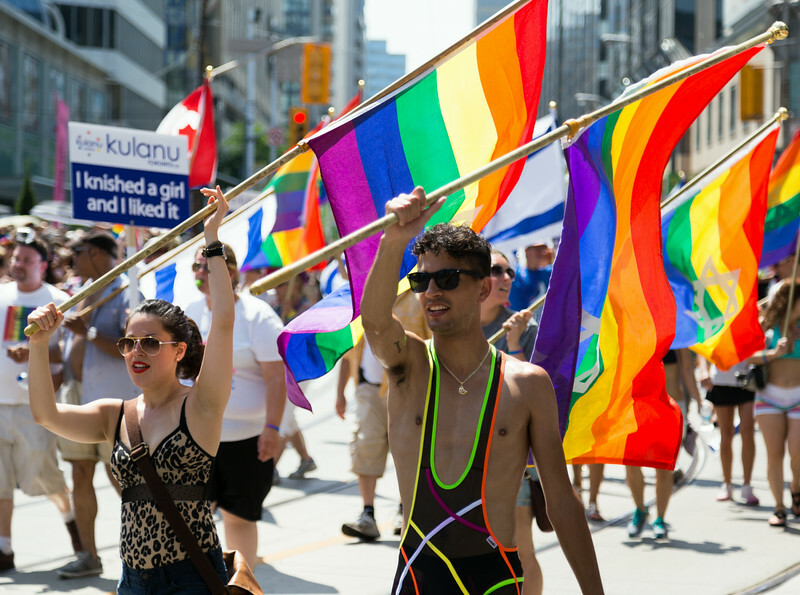 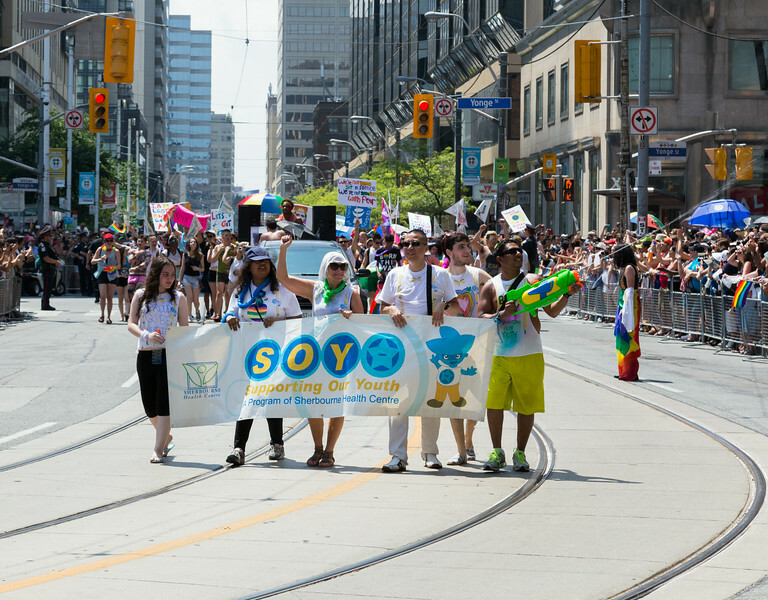 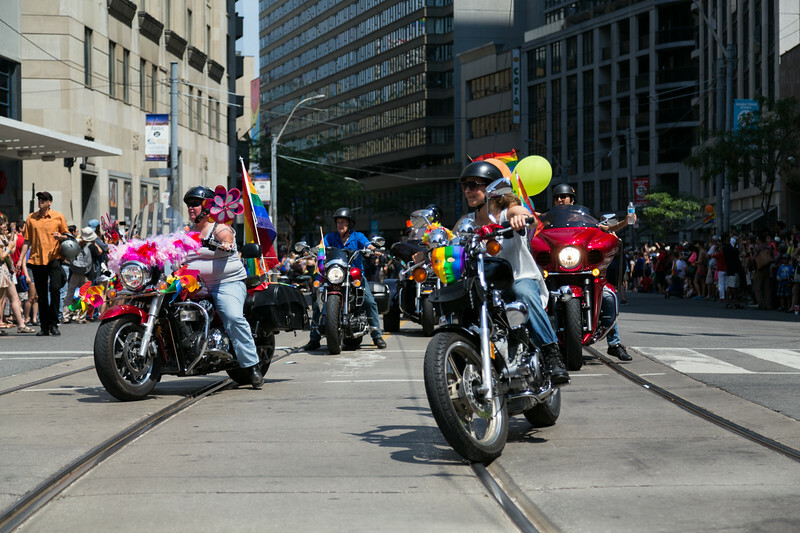 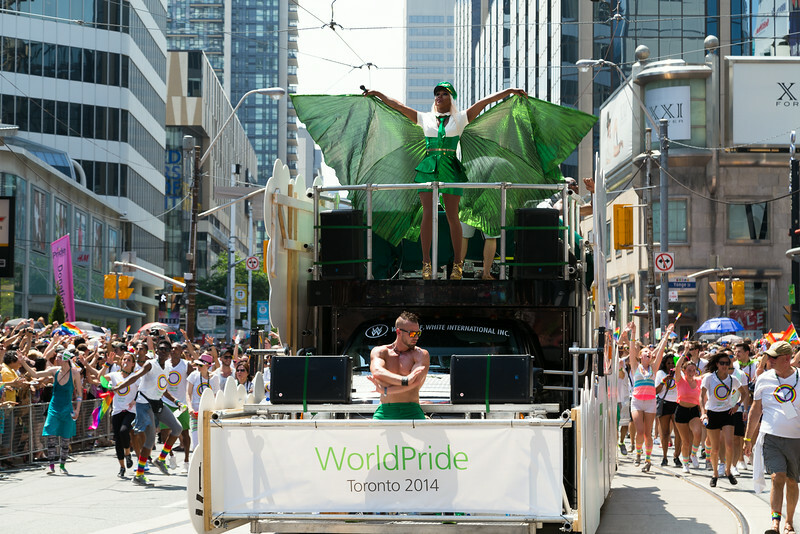 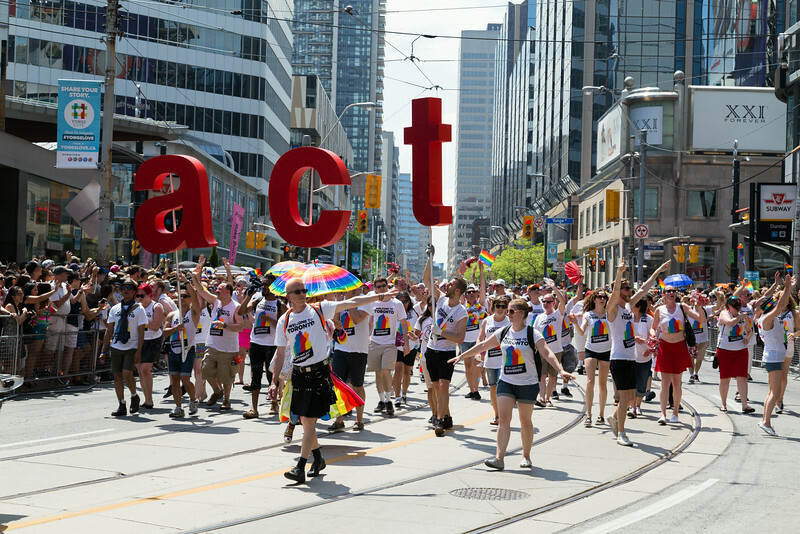 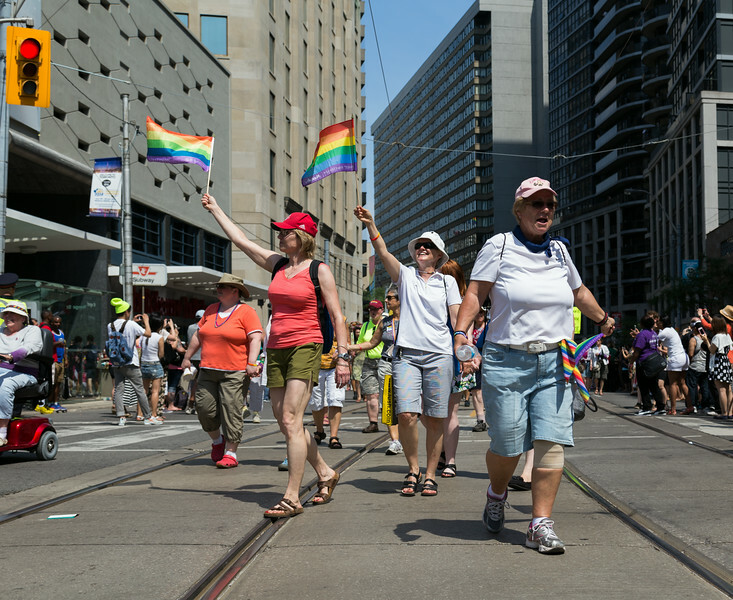 TORONTO, CANADA - 29TH JUNE 2014: People participating in the World Pride Parade in Toronto. 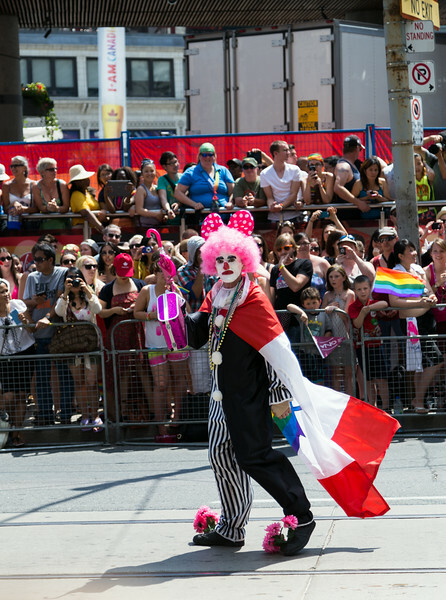 Spectators can be seen beside the path.